The Global Anesthesia Devices Market is gaining traction due to improved government support, and growing number of surgeries across the globe. Anesthesia is a condition used to term insensitivity to the pain. Anesthesia is used to bring unconsciousness during the surgical process. The anesthesia reduces person’s awareness and triggers loss of sensations which is provided by anesthetic devices. The device delivers constant and exact amount of medical anesthesia gases with proper concentration of anesthesia. Need for the devices is determined by type of surgery being executed and it varies in every surgical process. These devices support the anesthetic specialist to control as well as monitor the amount of anesthesia. Appropriate monitoring of the patient diminishes risks associated with surgery and use of anesthesia. The monitoring devices are used to check a patient's reaction toward anesthesia during a surgical process. Anesthesia offers the painless and unproblematic performance of surgical procedures that could help to reduce unbearable pain to an un-anesthetized patient. Generally, there are three types of anesthesia including sedation anesthesia, local or regional anesthesia, and general anesthesia. With these devices, respirational devices are used to deliver comfort and/or medication to the patient who has difficulty in breathing and cannot acquire an adequate level of oxygen. Growing number of surgeries leading to rising demand for anesthesia devices and improved government support to fuel the global growth. With the novel surgical processes, the expectation of individual’s life has increased. Moreover, with the time the number of people requiring surgery has increased due to conditions such as injury, critical diseases requiring surgical actions, and growing geriatric population. According to Centers for Disease Control and Prevention (CDC) 2010, approximately 16 million surgical procedures were implemented in the U.S. in addition, the geriatric population is highly susceptible to the deteriorating and chronic diseases which have further increased the number of therapies and surgeries. Thus, the rising number of people requiring anesthesia due to surgeries and the demands for continuous monitoring would drive the growth of the anesthesia devices market. Also, augmentation in a number of a patient suffering respiratory disease favors the growth of the global anesthesia devices market. Demand for anesthesia devices is swiftly improved owing to development in safety awareness and technological advancements in the anesthesia devices. Moreover, rapid urbanization, increased government support to improve the anesthetic devices, and revolutions with respect to respiratory care devices further boost the global anesthesia devices market. In addition, increase in healthcare expenditures is expected to provide significant growth opportunities for the anesthesia device market. However, the presence of a large pool of undiagnosed patients’ risks linked with some diagnostic and therapeutic devices, and low acceptance proportion of novel inventions and technologically advanced devices, due to unwillingness from the surgeons or specialists for the treatment, hampers the market growth. The global Anesthesia Devices market is segmented on the basis of product type, application, end user, and geography. 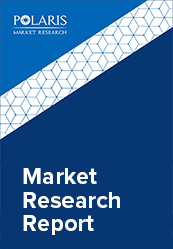 Geographically, the global Anesthesia Devices market is segmented into North America, Europe, Asia pacific, Latin America, Middle East, and Africa. The awareness amongst physicians and experts due to the increased demand for anesthesia and the favorable reimbursement guidelines to fuel the market growth. Geographically, North America is estimated to be the largest market sharing region for anesthesia monitoring devices market owing to increasing number of surgical processes. According to Centers for Disease and Control Prevention (CDC) 2015, approximately 100,000 surgeries are held in the U.S. every day. Rising number of injuries, accidents, and/or growing number of small or critical surgeries requiring anesthesia is boosting the global anesthesia market in North America. The rising demand for anesthesia has upraised the awareness among surgeons and specialists about the benefits of anesthesia devices. Moreover, owing to widespread technological developments and increasing rivalry in the market, the market is anticipated to continue dominating in the forecast period. Asia Pacific is also anticipated to dominate the global anesthesia devices market in the forecast period. The unmet needs to develop healthcare expenditure and favorable reimbursement policies are estimated to increase the growth of anesthesia monitoring devices in this region.